As you can image, marine fires on the water are dangerous due to the water, remote location, and there is not anywhere to escape. 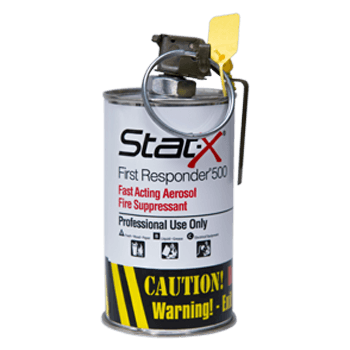 The Stat-X First Responder is a valuable tool if you are faced with a shipboard fire. This tool can easily be deployed to extinguish the fire and reduce the damage and more importantly save lives. This unit activates UNDER WATER with the same great performance.